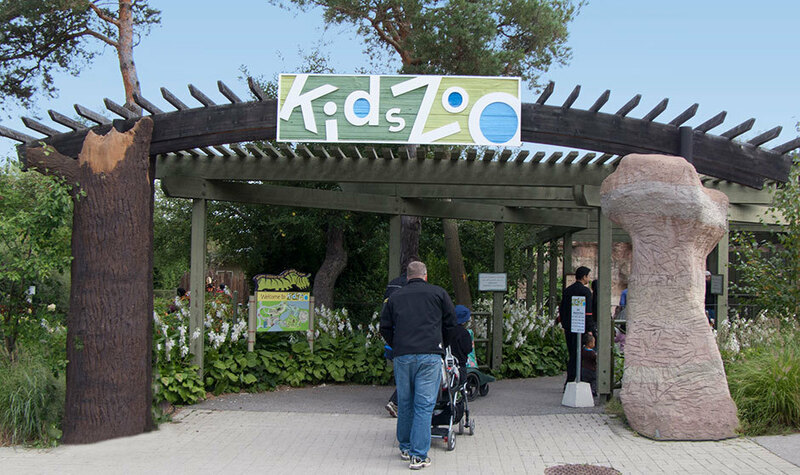 A visit to the Children’s Wildlife Discovery Area at the Toronto Zoo, offers an imaginative and interactive experience for young children. The first of its kind in Canada, the area is designed for children to safely and creatively explore the dynamic relationships between animals and their native environment. From climbing on frog, turtle and rock sculptures, sliding through the treehouse or viewing wildlife up close in nocturnal and daylight settings, there are a multitude of opportunities for children to enjoy live encounters with animals and habitats only previously seen in stories or nursery rhymes. JSW+ believes that fostering an early appreciation for wildlife and the natural world is fundamental to engaging and educating future generations about the benefits of sustainable development and responsible resource management. An interpretive amphitheatre venue is also a key part of the Discovery Area, offering daily presentation of birds and animals, and an insight into their habitats, talents and role in their environment.